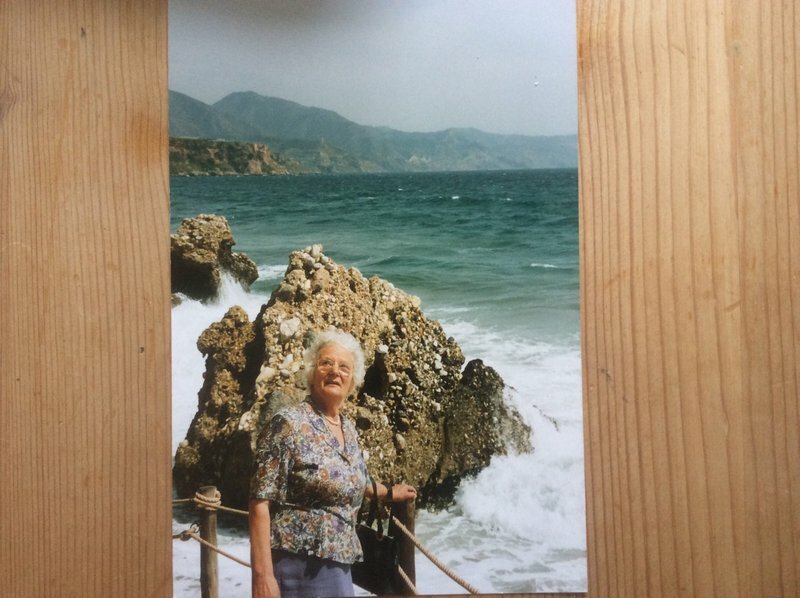 In loving memory of Doreen Edwards formerly of South Wales and latterly of High Halden passed away peacefully on 14th September 2016, aged 94 years. Beloved wife of the late Ron Edwards and much loved mother of Adrienne and Betty and grandmother to Jo and Kate and great-grandmother to Lola and Rosie. 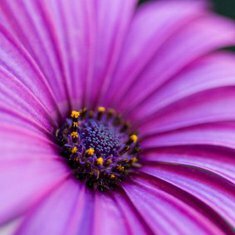 Flowers only please in Doreen's memory may be sent c/o TW Fuggle & Son Funeral Directors, 20 Ashford Road, Tenterden, Kent TN30 6QU. lots of my memories of Grandma focus on food! When we were little, Grandma and Ron would come to visit and we would eat her coconut cakes still frozen because we couldn't wait for the to defrost, they were so delicious! When I was at university she would keep me and Kate supplied with fruitcake and Victoria sponges, and everyone would pile in to the shared kitchen to enjoy them! Later on, I used to visit once a week and eat tea with her. She would make bananas and custard for dessert (even though I was 23!) 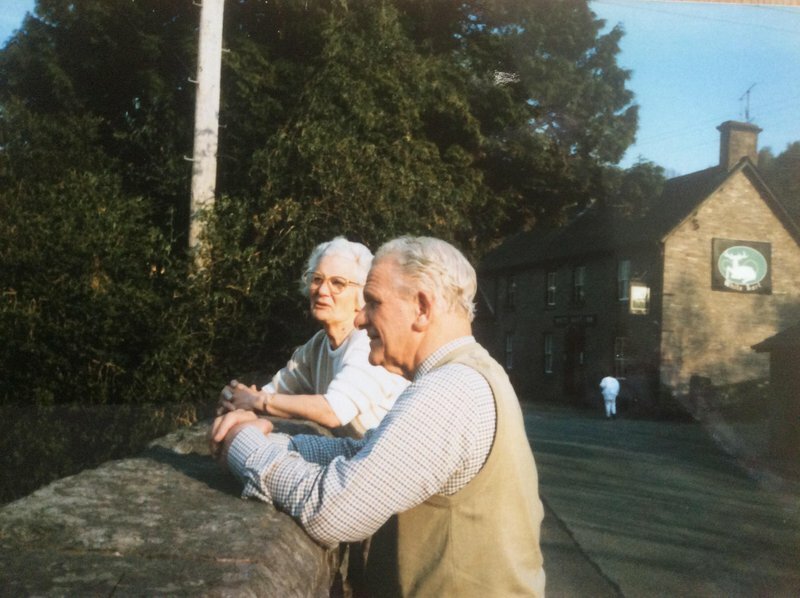 much later on, and bored with the care home food, we used to sneak out for fish and chips and eat them at the local nature reserve and watch the birds. 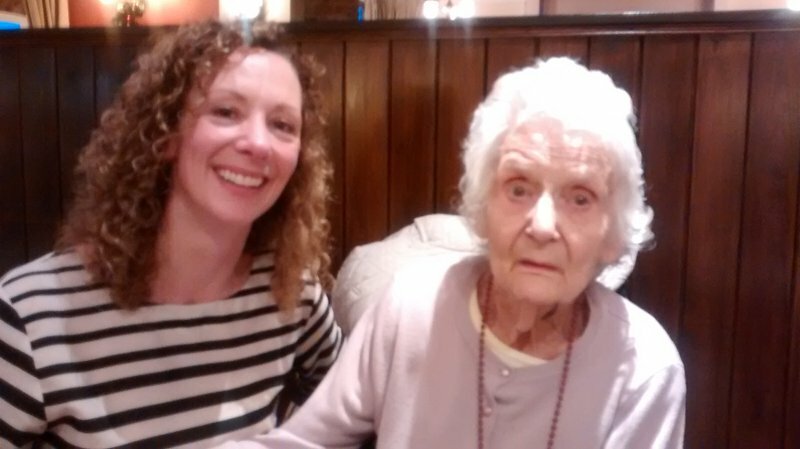 She also enjoyed cream teas with her great grandchildren and we all knew not to choose the eclair! She loved a bit of shopping and being able to treat herself or others and liked hear all about what was going on with everyone. She had a sharp wit, huge general knowledge and was really good with maths. I'm so sorry that Grandma has gone, but I am glad that she was peaceful at the end. I wanted to share my most vivid memories of her. She loved shopping, browsing was half the fun as was splashing out occasionally on something expensive. She liked going out and about to see what was going on in the world, and enjoyed the countryside and the changing seasons, especially if she spotted daffodils coming out in Spring. Wales was always home and she had so many memories to share about growing up there. She was a talented knitter, Kate and I both remember our Arran cardigans from when we were little, but later in life she knitted tiny hats, mitts and bootees for premature babies in hospital. She also had great general knowledge and quick maths skills. Many of my memories are to do with food though, because she was a brilliant baker and it gave her real pleasure to bake for others. Eating coconut cakes when Grandma and Ron came to visit, still frozen because I couldn't wait any longer to eat them. Dark fruitcake so and jam and cream sponges sent to me at university and devoured by everyone on my corridor that same afternoon. Tins full of mince pies at Christmas. 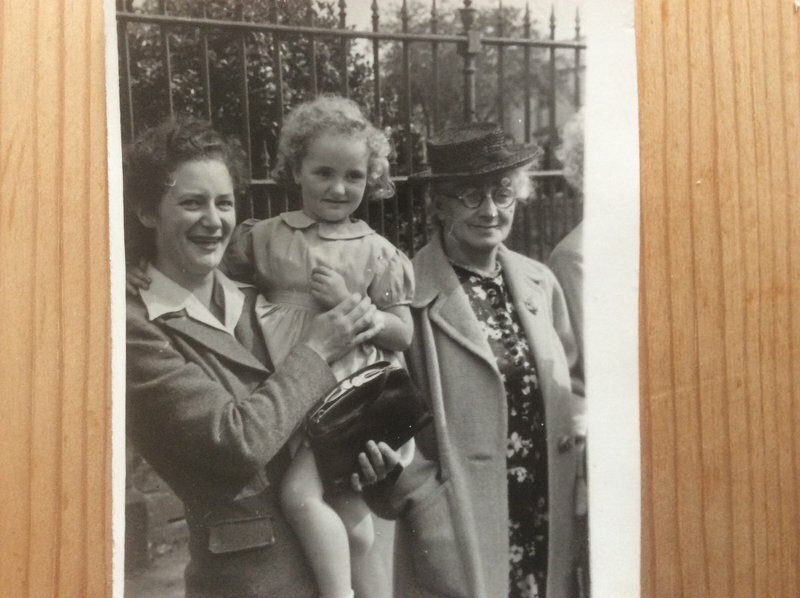 When I was a young teacher I went round for tea every Wednesday and she would make a meat and two veg dinner with bananas and custard for pudding (even though I was25!). 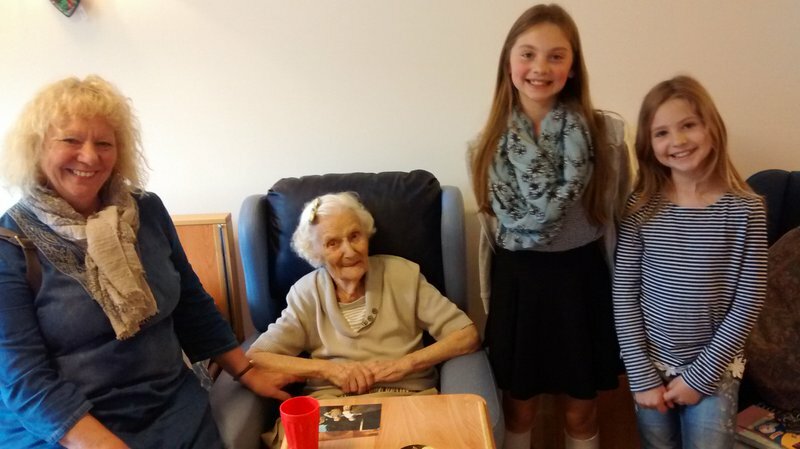 More recently she and I would escape from her care home to eat fish and chips in the car at the nature reserve, watching all the birds and sometimes getting trapped by swans hustling for food. Sometimes Lola, Rosie and I would take cream cakes round and we'd have afternoon tea. Her favourite was the big elephants foot choux bun! She often talked about growing up, and all the veg they grew at home and the things they made. Her relative was famous in the village for making the best faggots and people would order them from her. Her own grandma was famous for her ginger beer, which she made and sold from her kitchen, and she explained how the ginger was bashed up and how the yeast was floated on a piece of bread on top of the liquid. She was formidable, funny and feisty and I loved her. 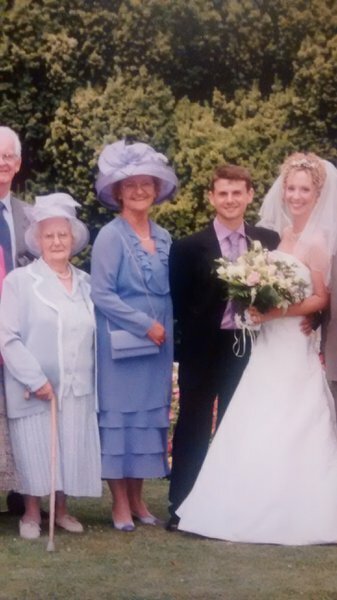 Grandma at my wedding. We had great fun shopping for her outfit! Very sad to be saying goodbye to Grandma. 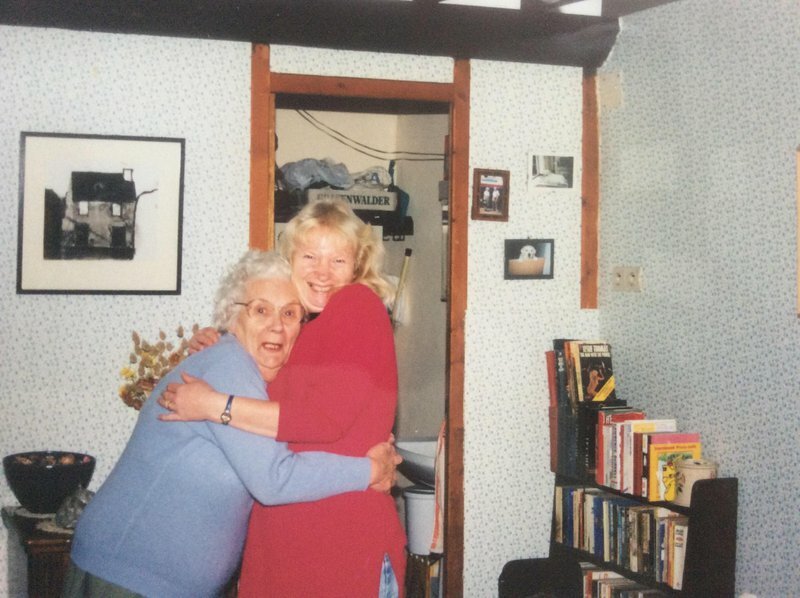 My favourite memories of her are from visiting Talybont on Usk, where she and her beloved Ron lived for many years. 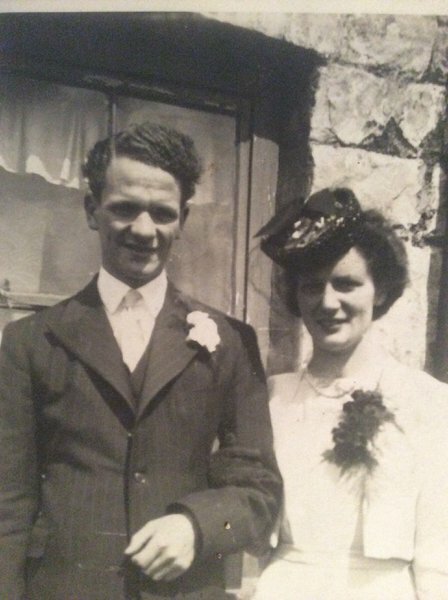 They loved to grow their own vegetables and had an incredible garden full of plants, and they loved to sit and watch the buzzards flying over the Black Mountains. She was a very good baker, and inspired me to be one as well. When I was at University, she would send me gigantic Victoria sponges packed with cream and jam to share with my friends. 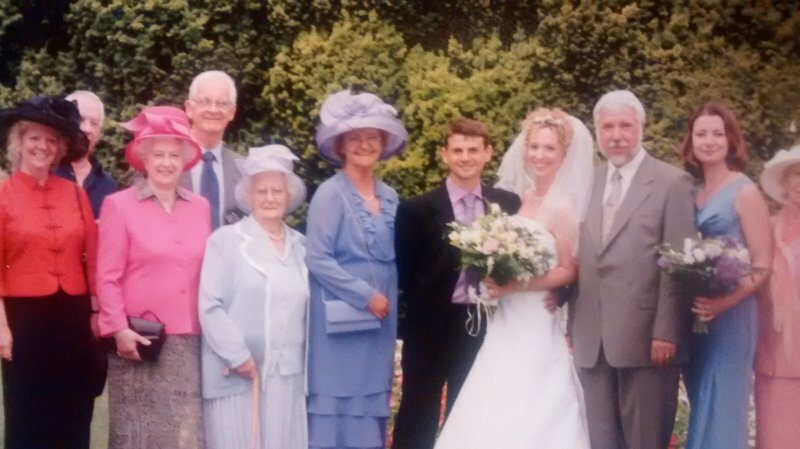 She was also very funny and used to say about the Welsh: 'It's not that they can sing, it's that they WILL sing'.... You will be missed Grandma. Great one, this! R to L: Adrienne, Doreen, Ron, Bet. 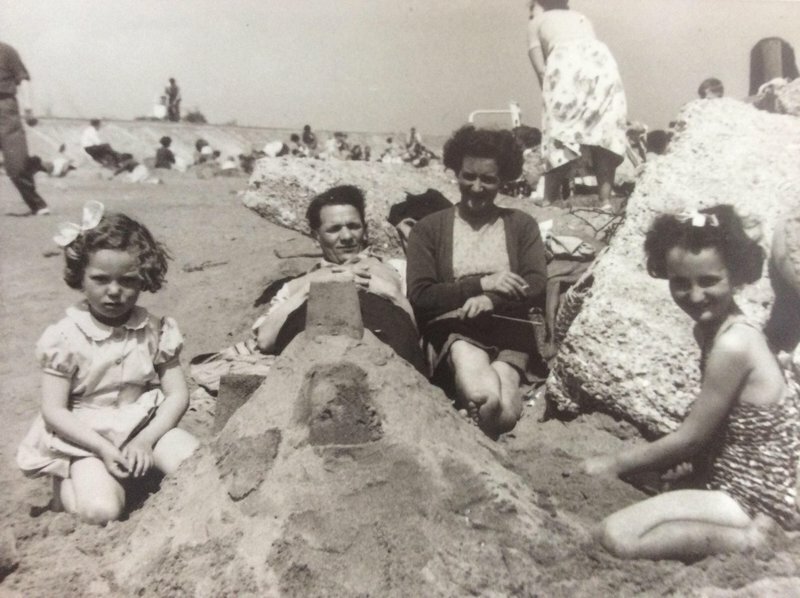 Must be 1950s, either porthcawl or Skeggie. 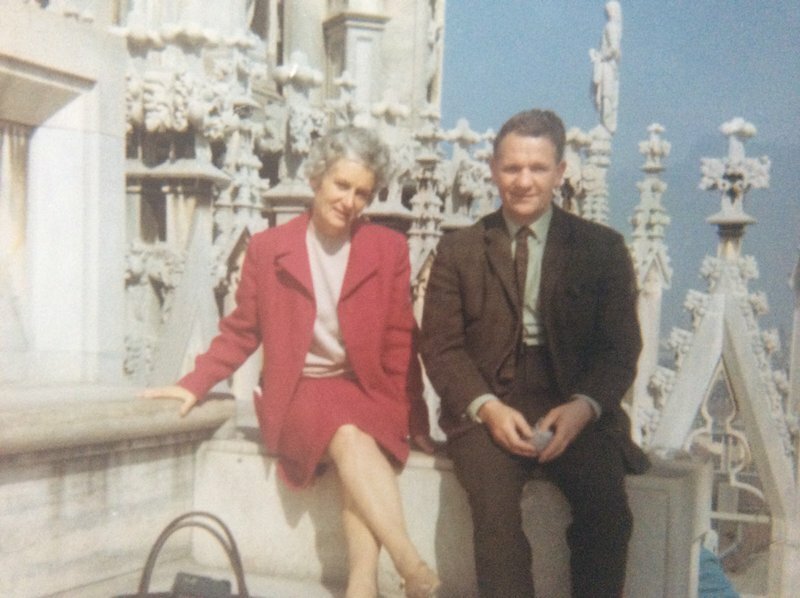 Doreen and Ron on the roof of Milan cathedral 1970? I always loved visiting this special village and remember the amazing garden they had - so many beans! Talybont-on-Usk, such a pretty village, and they loved their cottage! I remember us playing in the river there.